What: The world’s largest gathering of Porsche race cars and drivers return to WeatherTech Raceway Laguna Seca for an amazing Porsche family reunion. to victory in the world’s most famous sports car races. As the IEJC celebrates its 15th year of JCNA Concours, we are again inviting you to turn back the clock as we return to mile-high Idyllwild CA for our 5th Annual IEJC Jagstravaganza, September 28th-30th, 2018. The Inland Empire Jaguar Club has again secured the Historic Idyllwild Inn. Please register your vehicle early to avoid any disappointment. Pre-registration closes on September 23, 2018. Awards in all classes, including display class! 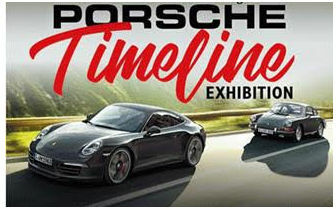 The event annually spotlights over 70 Porsche cars from the 1950s to the current model year lineup. The cars displayed are brought to the event by Porsche clubs throughout Southern California. Coordinated with this event is an Oktoberfest put on by the locals with all the activities including live music, great German food and of course beverages. 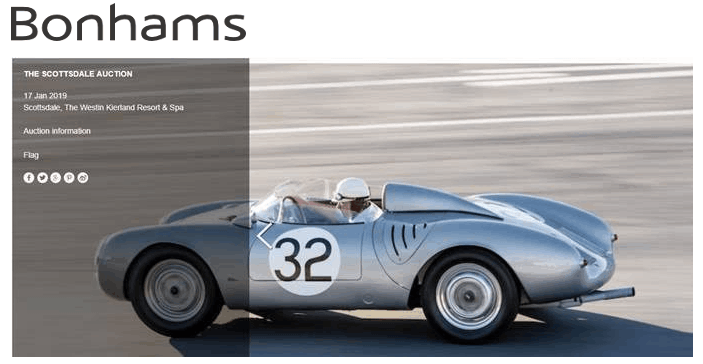 For more than two decades the Palos Verdes Concours d'Elegance has been a world-class show of classic, vintage historical, and special-interest automobiles, providing funds for charitable and community purposes. 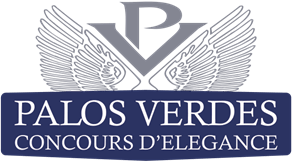 The Concours has promoted the beauty and opportunities of the Palos Verdes Peninsula and the South Bay of Southern California. From the first show held on the Ladera Linda playing fields, the annual event has been staged in distinctly different locations on the Palos Verdes Peninsula. 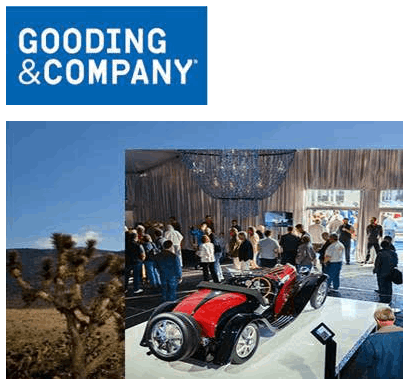 This year, we break new ground by pairing first-class, concours-level automobiles with vintage aircraft at the historic Zamperini Field in Torrance, California. Cimarron Region is proud to host PCA Club Racers at everybody’s favorite racetrack, Hallett Motor Racing Circuit. We are excited to be hosting the 944 Cup West National Championship race! We love having all of you here for one of the highlights of the PCA Club Racing season, and it gets even better in 2018 with a PCA Vintage Group. PCA Club Racing will welcome ’83 and earlier, 4 and 6 cylinder air-cooled cars for their own run group. And once again, we welcome the Cimarron Region Boxster Challenge - the 6th year! Come and be part of the fun. 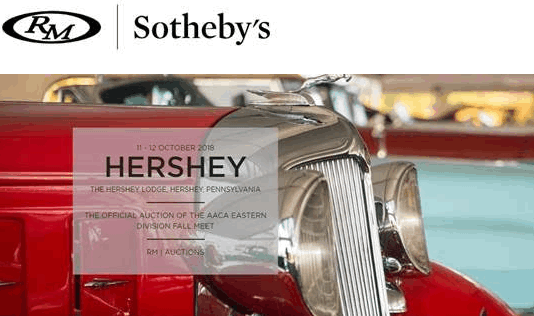 Whether drawn by the scent of chocolate from Hershey's Chocolate World or the sound of classic motor cars making their way toward the auction block, RM Auctions' Hershey sale is not one to be missed. 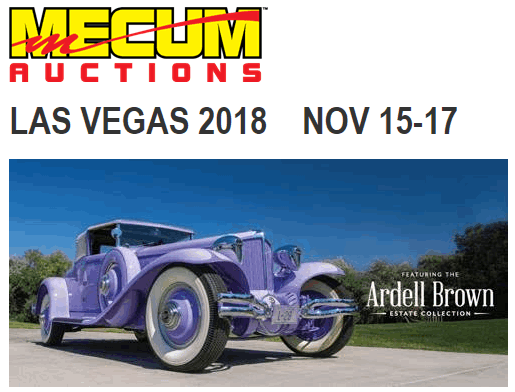 Make your first stop the world-renowned AACA Eastern Division Fall Meet, a true enthusiast's affair that brings together collectors and hobbyists from far and wide for the largest swap meet in the United States. Then, make your way to the historic Hershey Lodge, the setting for RM Auctions' annual Hershey sale, where enthusiasts come to witness veteran, Brass Era, and CCCA Classic automobiles cross the auction stage and set unprecedented sell-through rates. San Marcos Resort in Chandler AZ will host the annual JCCA Saloons in the Old West Concours. The festivities begin on Friday October 12th with our annual charity Wine Tasting and then a Welcome Reception. Food and beverages, entertainment, raffle prizes; Fun for everyone. Saturday, the Concours showcases the club members’ beautiful examples of the luxury Jaguar marquis on display or to be judged. Breakfast is provided for all Concours registrants, followed by a scrumptious dinner and announcements of the Concours Award winners. Our 2018 fundraiser raffle prizes are open for viewing and ticket purchase will be available from Friday up to the awards dinner on Saturday evening. 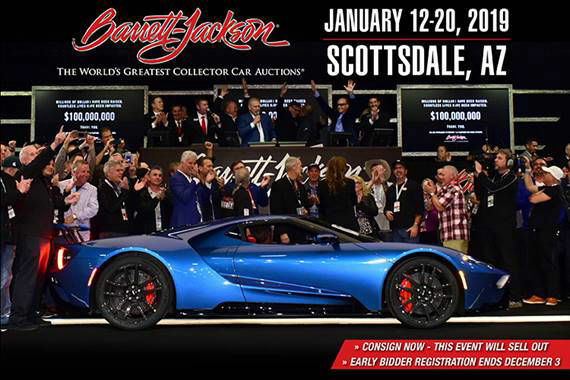 The weekend closes Sunday with a drive to a no-host brunch and then drive to Chandler dealership for a private tour and discussion from Bobby Perich, GM. Applications for the 2018 Motoring Midway are currently being accepted. Hosted by the Jaguar Owner's Club of L.A. This Festival was started two years ago to replace the former Western States Meet as well as other regional meets. This is not only a national event, but a truly international meeting of Jaguar Club Members from around the world. 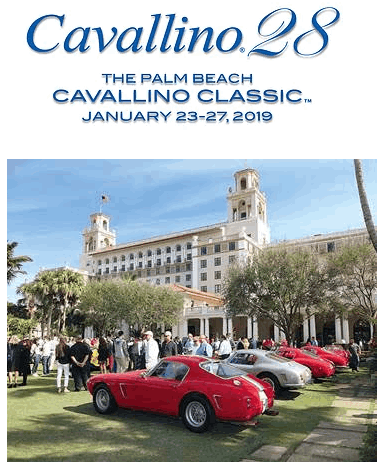 The Jaguar Clubs of North America (JCNA) has initiated an International Meeting which encompasses a national competition in Concours d’Elegance- Champion and Driven divisions, Slalom, and Rally. This year’s event will be held in beautiful Santa Barbara, California. See JCNA website for details. 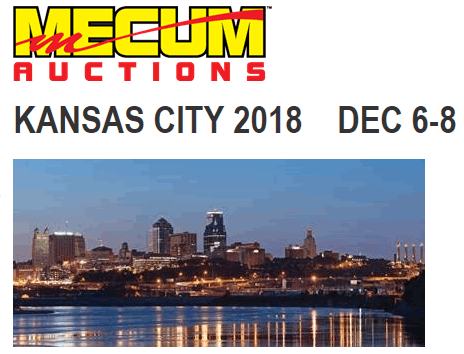 Our next auction will take place November 16th, 17th & 18th 2018. 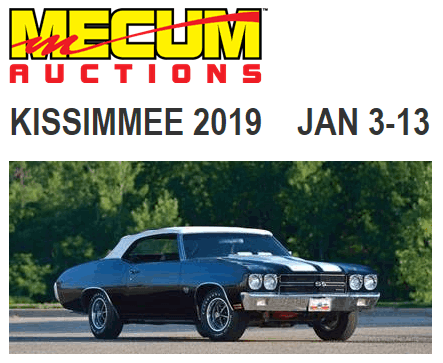 Mecum returns to Kissimmee this coming January! 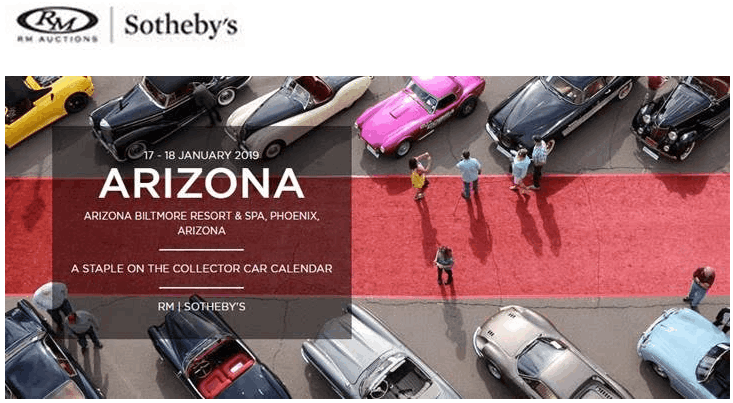 Bonhams' 7th annual sale at the Westin-Kierland Resort & Spa in sunny Scottsdale, Arizona, saw throngs of people grace the green lawns and auction tent to view an impressive and diverse selection of hand-picked cars cross the auction block. With a nearly 90% sell-through rate resulting in over $25-million in total sales, the auction was a definite success. Our next auction will take place in February 2019 - details coming soon. Restoration Updates • Ask Tom • Much More!